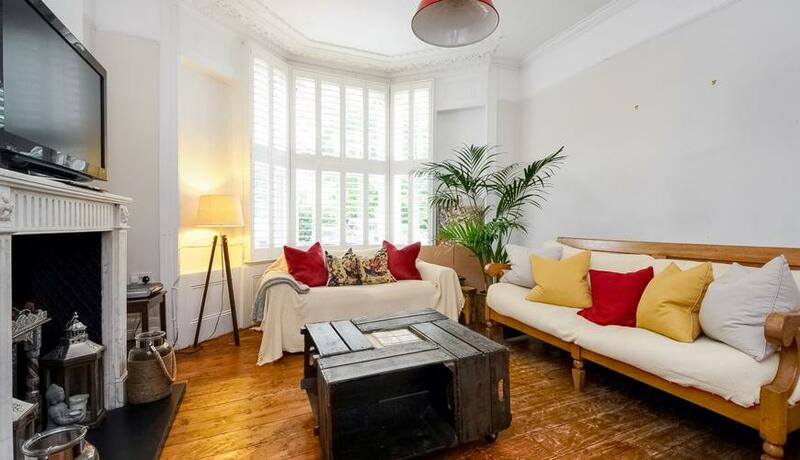 The accommodation is situated on the ground floor of a period conversion. Upon entry you are greeted by a larger than average kitchen/reception/diner with high ceilings and beautiful period features on the cornicing. A large bay window to the front allows an abundance of natural light to flow into this wonderful entertaining area. A side covered conservatory style galley leads down the side of the property onto a wonderful 70ft garden with a paved area at the end to enjoy this private sanctuary. Wild garlic and other planted flora adorn this lovely area. Towards the rear and side of the flat are two good sized bedrooms, the master of which has a small walk in wardrobe with an original artist painting on the floor from years gone by. Wood floors are throughout which adds to the charm of this beautiful home. The cellar makes for an additional benefit to alleviate the typical storage issues. This property is perfect for somebody looking for a character home.